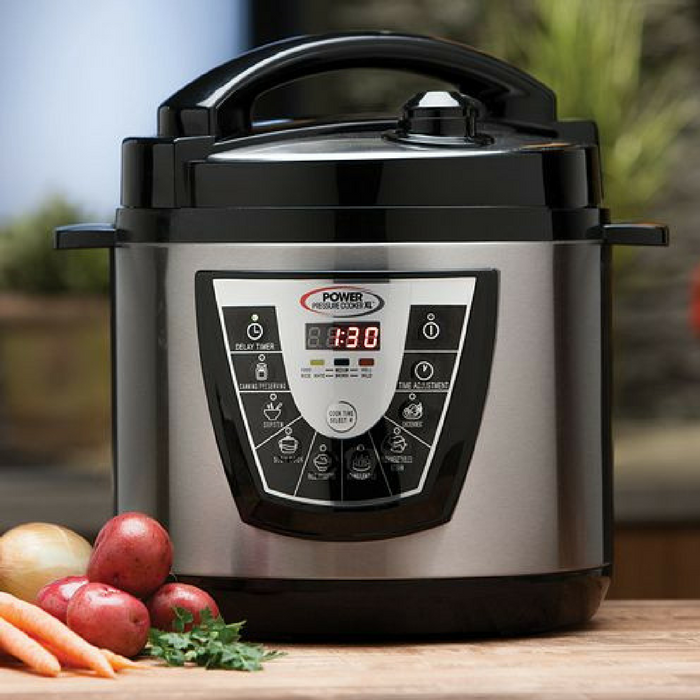 8-Quart Pressure Cooker Just $49.99! Down From $120! PLUS FREE Shipping! You are here: Home / Instagram / 8-Quart Pressure Cooker Just $49.99! Down From $120! PLUS FREE Shipping! At Best Buy, you can score this 8-Quart Pressure Cooker for just $49.99 down from $119.99 PLUS FREE shipping! Explore a multitude of options with Gourmia’s electronic Smart Pot Pressure Cooker. Gourmia’s Smart Pot rivals other electric pressure cookers in ease of use (one touch settings pad), versatility (13 uses), keep warm option, and clean up and maintenance. The Smart Pot has an auto locking lid and auto pressure control, making it completely safe, every time. It’s also crafted of quality, durable materials – an inner non-stick liner and a stainless steel exterior. Perfect for those on busy schedules, Gourmia’s Smart Pot has a 24 hour delay timer and an auto timer. Program meals at your convenience and have them ready right on time; it’s the ultimate set – and – forget! In the event of power failure, the Smart Pot will continue cooking automatically once power is restored, thanks to its auto resume power function, and the convenient keep warm option will keep your food warm after cooking has finished. 8-quart capacity: Provides ample room for ingredients, so you can easily prepare large portions. Nonstick surface: Enables easy food release and makes cleanup simple. Keep-warm function: Allows you to prepare food in advance. 1200W of power: For fast, efficient performance. Electronic controls and LED display: Offer simple operation. Timer: Helps you keep track of cook times. Safety-lock lid: Promotes safe use. Pressure cooker: Seals in steam to cook food quickly while preserving nutrients and ensuring flavorful results.